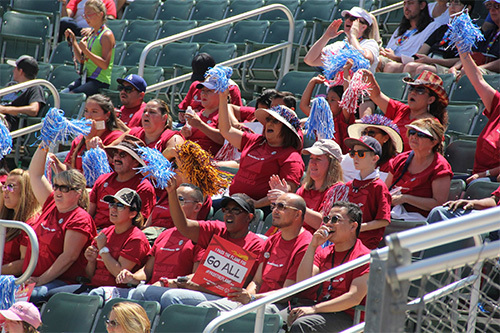 Thank you for your interest in volunteering at Summer Games and for supporting Special Olympics athletes. 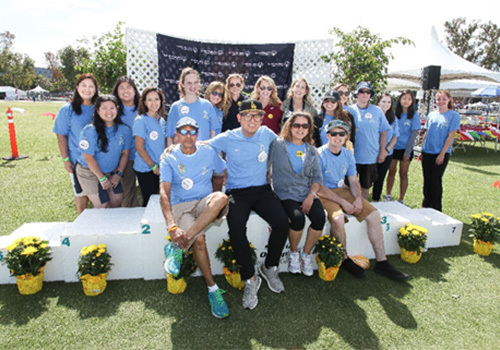 We have many volunteer opportunities during Summer Games and need the help of 2,000 volunteers to make to this event successful for the 1,100 athletes that will compete. Minors between the age of 14 - 17 must involve a parent in the registration process. Anyone under 14 may not register as a volunteer but is welcome to attend the games as a valued spectator and cheer on the athletes. Please note: All GOC, Public Volunteer Groups and Corporate Sponsor Groups MUST have their group’s access code to register for their assigned shifts. Please contact your group leader to receive your access code. Come out and cheer on 1,100 of Southern California’s most inspiring athletes as a Fan in the Stands. The Games are free and open to the public, and we want to fill the stands. Attend as a fan, or create a cheer team with your family and friends and register your group using our online form. Have questions? Please email Lisa Carpenter at lcarpenter@sosc.org.